I’m always looking for new snacks to give Ebony during the day. She loves fruit, but I think there must be a limit to the amount of fruit it is healthy for one tiny child to eat. A couple of months ago, we went to a toddler group at a Forest School, and at the end the course leader made popcorn on a fire. Up until then, I’d never considered giving Ebony popcorn as a snack, probably because in my head it’s associated with sugar and salt, which are things I try to keep Ebony away from. After our visit to the Forest School, I invested in some popcorn kernels, so that we could try making our own at home. Ebony loves helping to make it, even without the added excitement of an outdoor bonfire, and shouts “POP!” most of the way through the cooking process. I thought I’d share our recipe as part of Vegan MOFO in case there are any other vegan parents searching the internet to find child-friendly, sugar-free snacks. 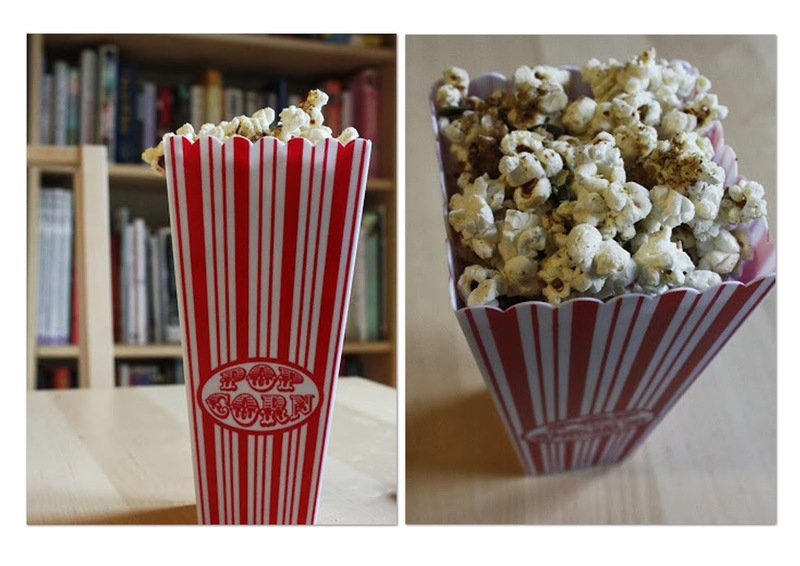 Follow the instructions on your popcorn packaging, but use coconut oil instead of vegetable oil or butter (or whatever it recommends). Toddlers need a high-fat diet to support brain development and the huge amount of running around the day, so coconut oil is the perfect cooking fat. For the popcorn we use, we just stick the kernels and coconut oil together in a pan (with the lid on!) over a medium heat. You have to shake the pan regularly to ensure the kernels don’t stick. Within a matter of minutes, you should have a pan of popcorn. Once the popping stops, remove the pan from the heat and season the popcorn with the nutritional yeast flakes and flax seed. Place the popcorn in a bowl, and then sprinkle the mixed nuts and seeds on top. And there you have it, a healthy twist on a classic snack. Enjoy!